How to Build Core Strength Fast with Erin Kendall, Personal Trainer at Fit Mom GO! In this video, I'm excited to show you how to build core strength fast. We want a tight, strong core right away! Core strength exercises can be very dynamic. In this video we get your abdominals moving in multiple directions with weights AND on one foot. This is the ultimate combination to really focus on building that core strength. Any time your standing on one foot, your inner core muscles engage. With this slightly advanced version, we add an extra challenge to build the core strength faster! 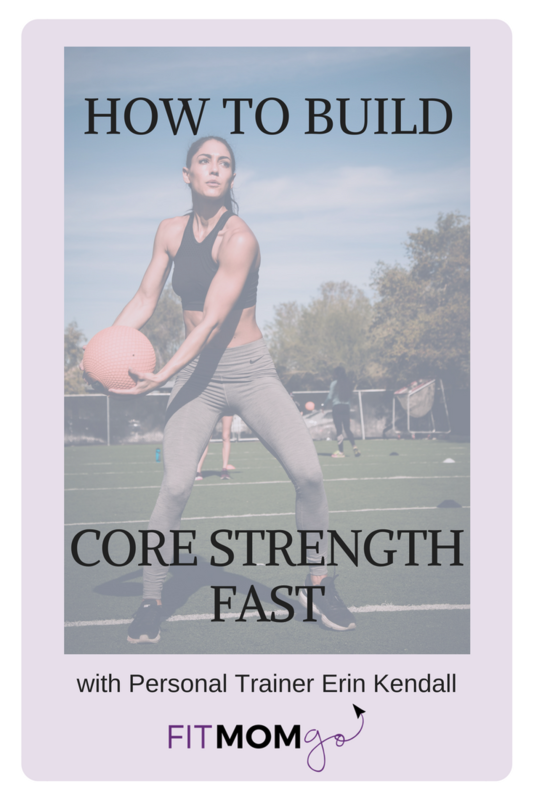 If you enjoyed this video, check out other Core building workouts on this blog, including this one! Subscribe for more Mommy workout videos here and sign up to take the 5 Day Challenge. Follow FitMomGo! on your favorite social media platform! Take the FREE 5 Day Fitness Energizer Challenge and learn just how simple it can be to live a strong and energetic Fit Mom Life!